A pedestrian was hit and killed by a vehicle in South San Jose on Monday night, according to the San Jose Police Department. At 8:07 p.m., San Jose officers were dispatched to Montetey Road at Roeder Road on a report of a traffic collision involving a vehicle and a pedestrian. The pedestrian was pronounced dead at the scene. After striking the pedestrian, the driver crashed into a tree, police said. The driver was cooperating with the investigation. The San Jose Police Department’s Traffic Investigations Unit was handling the investigation. 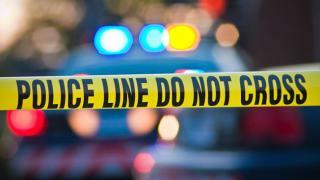 The identity of the victim was not released pending a comfirmation by the Santa Clara County Coroner's Office and notification of next of kin, police said. It was the the 12th fatal collision of the year in San Jose. Anyone with information is asked to contact the San Jose Police Department's Traffic Investigations Unit at 408-277-4654. Those wishing to remain anonymous may call the Crime Stoppers Tip Line, (408) 947-STOP (7867). Persons providing information leading to the arrest and conviction of the suspect may be eligible for a cash reward from the Silicon Valley Crime Stoppers.